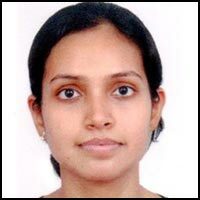 Nidhi possesses 6 years of experience in Advanced Data Science, Machine Learning, NLP and Predictive solutions. She leads the R&D related to complex problems related to the understanding of Customer Behavior and Shopper Visit/Market Basket Prediction in Grocery and Drug Retail. She is a key contributor to our solutions for Household Analytics, Targeted Offers, Elasticity, Affinity, Cannibalization and KVI Identification. Prior to Pristine, Nidhi was a Researcher at TCS Innovation Labs. She published multiple research papers in international conferences like IJCAI. She had also filed a patent on Text Mining – Goal-Driven Intelligence. Nidhi did her MS in Mathematics from IIT, Roorkee. She was a gold medalist at both Masters and Bachelor’s level.